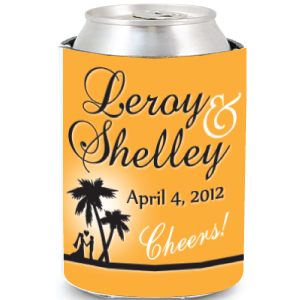 Full Color Scuba Foam Can Coolies - Your Design! Minimum order is 25 coolies. Pricing as low as $0.81 each. Everyone loves a good party! One thing that can make any kind of party that much more enjoyable is the concept of including custom koozies for every guest. 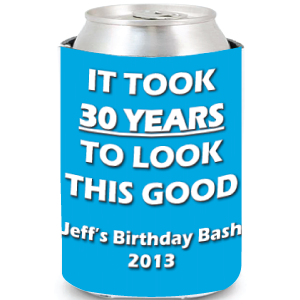 You get to pick your own text and artwork design for your koozies. 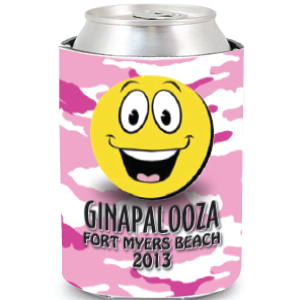 No matter what the event is, you can always give a custom touch to the personalized koozies. If it’s a bridal event, you can print the names of bride and groom, if it’s a business success party, you can print the logo and message of your company on them. Not just for adults, they can also be used for children parties and the kids are surely going to love the print and designs on them. 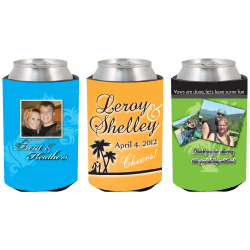 Options are many, and the trick is to choose the most suitable personalized koozies which exactly meet the theme of party or event.